Just a month into 2017 and America's hot-button issues are already clear: women, radical Islam, and the civil rights of Muslims in the West. The Trump presidential campaign, fraught as it was with controversy over his comments about women, sexual harassment, immigration and Muslims, has been followed, in his presidency, by protests, political debates, executive orders, and above all, confusion. Sorting out that confusion requires profound understanding of the issues. And the irony here is that few people understand them better than do Muslim women – particularly the Muslim women who stand up against radical Islam and who denounce the abuse and oppression of women in Muslim countries. They, best of all, know what it means to be the victim of sharia laws that deny them even the most basic of human rights. They, best of all, recognize the portions of the Quran that can be – and are – manipulated by extremists to suit their needs. They, too, best recognize those areas of their faith that must be modernized, that need to be reformed, to suit modern understanding of basic human rights, human dignity, democracy, and justice. Yet these are the people who also are most virulently attacked. Muslim fundamentalists accuse them of not being "really" Muslim. They are called apostates, and their lives and families threatened. Some non-Muslims accuse them of lying, of being part of an underground "stealth jihad" conspiracy aimed at Islamizing the West. Their work takes selflessness, determination, and extraordinary courage. Among those leading that fight is writer-activist Raheel Raza, a Pakistani-born Canadian and author of Their Jihad, Not My Jihad: A Muslim Canadian Woman Speaks Out. As a human rights leader, she has spoken out loudly against gender inequality in Muslim families, called for a ban on the hijab and burqa in Canada, and condemned groups that support the introduction of sharia law in the West. 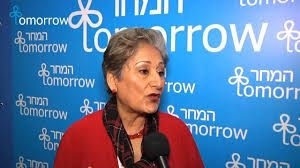 In 2012, she founded Muslims Facing Tomorrow, an organization with a core mission "to reclaim Islam for, as the word itself means, securing Peace for all people, and to oppose extremism, fanaticism and violence in the name of religion" while supporting Enlightenment ideals of free speech and democracy. Most notably, she participated in Paula Kwestin's award-winning documentary "Honor Diaries." Described as a "movement to expose women's rights in the Middle East," the film exposes hard truths about honor violence and the oppression of women in the Muslim world. In a discussion with other female Muslim leaders in the film, Raza minced no words: "We need systematic change in the Muslim world." The Investigative Project interviewed Raza about her views, her courage, her work, and her vision for both Muslims and the West in the years ahead. Abigail R. Esman What made you first feel you needed to speak out as a Muslim woman on the issues you now champion? Raheel Raza: While I was growing up in Pakistan, I lived in a culture that considered women should be seen and not heard. There was also an honor based environment where everything was about "what others will say." I rebelled against this and gender discrimination at a young age (for which I was always in trouble). I left Pakistan when I was very young to embrace the West for its values of gender equality, freedom of expression and a liberal democracy. I found my voice and have never stopped speaking out for those who do not have a voice. ARE: What was the initial response like? Did it cause you to doubt what you were doing? RR: The initial response was more against my gender, i.e. how can a Muslim woman speak out? Not against the content because deep down people know that I am speaking from within my faith and also addressing a compelling issue that affects Muslim majority society in a deep way. I never doubted what I am doing because the intention is to reform the way Muslims interpret and implement the faith. ARE: When and why did you create Muslims Facing Tomorrow? Do you feel you are meeting your objectives? RR: We launched Muslims Facing Tomorrow in 2012 with an intent and vision to be an alternate narrative to the voices of extremists. We are about ideas, as it is a violent ideology that we have to defeat. We are slowly but surely meeting our objectives because the world is hearing our voice to understand that there are Muslims who are the largest victims of radical Jihad and that we are concerned citizens who are speaking out. ARE: Have you faced threats from radical Muslims for your work? If so, how have you handled them? RR: Yes, of course – how else would I know that they are listening? I am the proud recipient of a fatwa, death threat and hostile emails. I am also listed as number six on the website of the world's most hated Muslims, and I plan to become number one. ARE: "Honor Diaries" was an extremely important project – but a controversial and difficult one. What made you want to get involved? RR: I have always been committed to women's rights and have worked on this my entire adult life. Three years ago I was approached by the producer of "Honor Diaries" about the idea of having 'voices from within' – Muslim women speaking on the issue. I agreed, with one condition: that this would not be scripted because for too long we (Muslim women) have been scripted, so they agreed, and [the] rest is history. ARE: Do you feel the film has been successful in influencing change? RR: "Honor Diaries" has been very successful in implementing and influencing change because it is more than a film. It's a movement which has picked up traction globally. In Canada we sent copies of the film to each Member of Parliament and as a result, we have Bill S-7, which is a bill about zero tolerance for barbaric cultural practices. Similarly in [the] UK, a law was passed making female genital mutilation and forced/underage marriage a criminal offence. I gave testimony in the Swedish Parliament about Honor Based Violence and also addressed the UK House of Lords as a result of which there is a bill which is being tabled. We screened "Honor Diaries" at the United Nations Human Rights Council in Geneva, so overall it has won awards and was the first documentary to openly address these issues. Now of course there are many others, which gives us hope. "Honor Diaries" also empowered the victims of honor-based violence to speak out because they felt the solidarity, so we have activists on the ground all over the globe who are working on these critical issues. The movement has now become even more important because it has led to a yearly event called CWFF -- the Censored Women's Film Festival -- in which Honor Diaries hosts films by not-yet-known film makers on taboo topics that have had pushback. ARE: More recently, many of your fellow modern Muslim activists [such as and Shireen Qudosi and Asra Nomani] supported Donald Trump for president. You, I gather, did not. What would you say to them? RR: In a way I do support Mr. Trump, although he is brash with his words. However when I look at eight years of the Obama administration, nothing was done to defeat a radical jihadist ideology. In fact Mr. Obama could not even articulate the words! So the radicals felt empowered and grew in numbers and action as we have seen with the slew of terrorist attacks last year. Mr. Trump (for all his faults) has addressed the issue head on and has also put out feelers to say that he will dialogue and sit with reform minded Muslims around the table to find solutions. This has yet to happen but I am hopeful that change will come to this global threat. ARE: You had at one time called for a stop on immigration to Canada from countries with high terror rates. Now President Trump has issued his executive order in the U.S. against specific countries, but also not including other, obvious sponsors of terrorism like Saudi Arabia. What are your thoughts on this move? RR: President Trump is implementing his election promises so no surprise here. I had suggested a temporary moratorium in Canada from countries that fund and promote terrorism because the safety and security of my country is paramount to the future of my children and grand children. On not including some countries, I can't comment on the inner workings of the U.S. political system as I am not American but we should wait and watch where this goes. ARE: Still, the work you do is not easy, and often misunderstood. What keeps you going? RR: Activism is never easy – you go against the flow and the status quo. It's doubly challenging if you happen to be a woman. I do this work for the future of the next generation. This is for a better world for my children and grandchildren. In a way I am very spiritual and I believe that each one of us is answerable to the creator about what we did when the world was burning. I can sleep at night knowing I am doing my part. The backlash against me is a very small drop in the ocean of work that has to be done, so I continue despite the challenges.